Maltese-flagged LNG tanker, ASEEM collided with the anchored Hong Kong-flagged VLCC tanker SHINYO OCEAN in the evening of March the 24th at Fujairah Anchorage, UAE. The incident occurred at approximately 20:05 UTC on Mar 24,2019. Reportedly, the Aseem was on its way to Qatargas' Ras Laffan terminal when it collided with the Shinyo. As a result of the collision, both ships suffered extensive hull breaches along their bow. 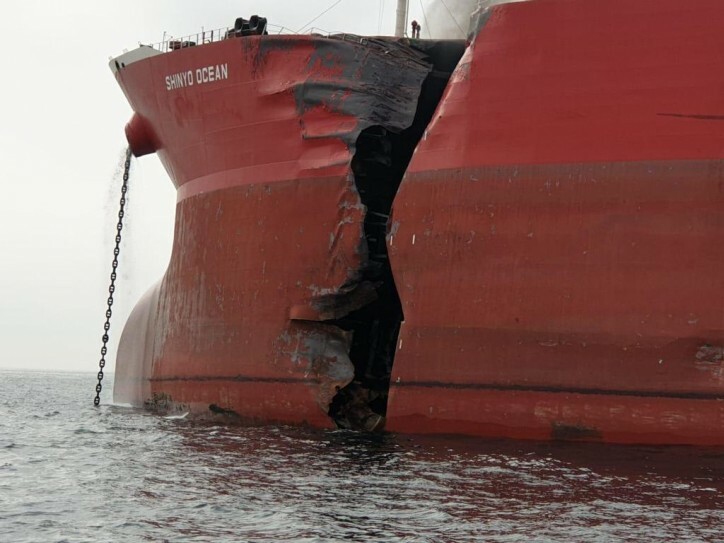 The Shinyo Ocean received a massive breach on its port side that extends from the waterline to the main deck while the Aseem also experienced extensive damage on its bow. Thankfully, the cargo tanks on both ships were empty at the time of the collision, and no injuries were reported. The Aseem is currently at anchor in Fujairah Anchorage, while the Shinyo has been moved to a different location. 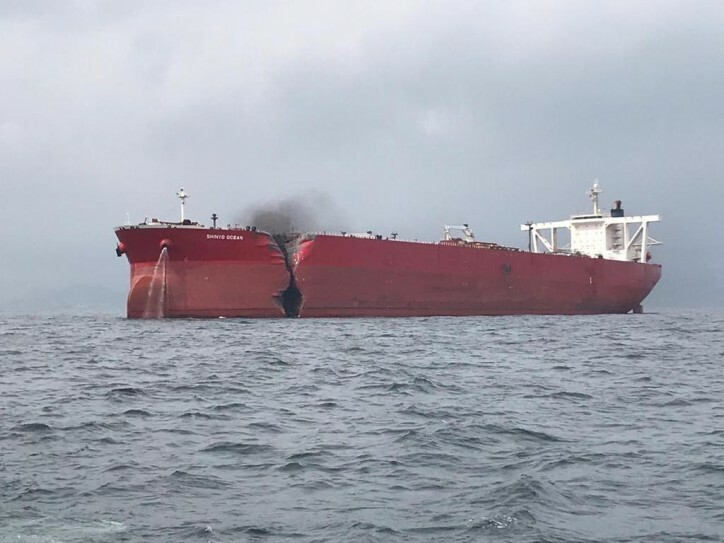 Little is known as to the cause of the incident; the companies in charge of the two vessels remaining tight-lipped as to the details surrounding the collision. The Aseem had arrived at Fujairah Anchorage from India in order to undergo bunkering, while the Shinyo Ocean had been anchored at Fujairah since March the 16th. The 154,999 cbm LNG carrier, ASEEM is owned by Petronet LNG/Qatar Gas Transport JV, while the 313,400 cbm VLCC tanker, SHINYO OCEAN is owned by Navios Maritime Acquisition.